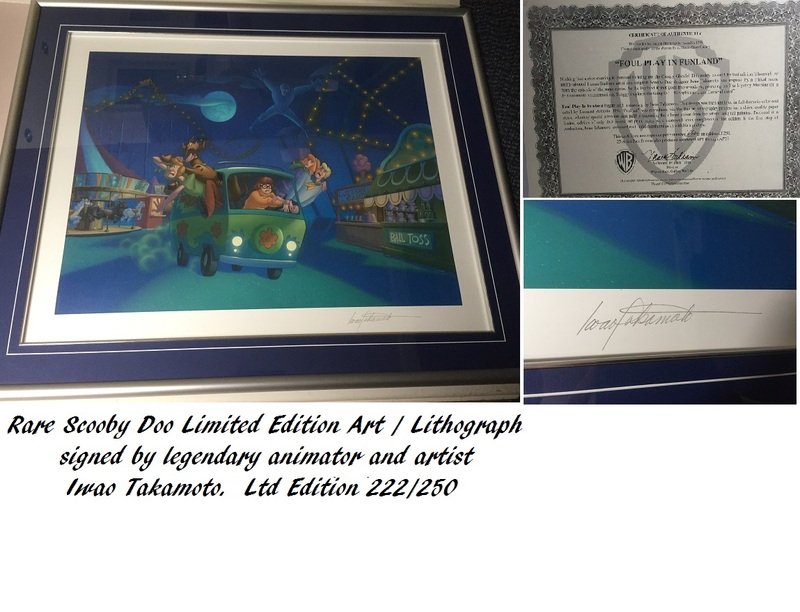 Scooby Doo HANNA BARBERA / WARNER BROS / DISNEY artist Iwao Takamoto signed art RARE #222/250 !!! Once in a lifetime opportunity to acquire a Limited Edition Scooby Doo signed artwork lithograph, official limited edition. Iwao Takamoto (April 29, 1925 – January 8, 2007) was an American animator, television producer, and film director. He began his career as a production and character designer for Walt Disney Productions films such as Sleeping Beauty, Lady and the Tramp and Cinderella. and eventually became a director and producer. This is an original Limited Edition No 222 of only 250 worldwide, making it highly desirable. This beautiful celebration artwork for this legendary TV cartoon series includes Scooby Doo, and all his friends, along with the legendary Mystery Machine Van. The name of this stunning artwork / lithograph is "Foul Play In Funland". The action packed lithograph includes (some masked men) pursuing Scooby Doo, Shaggy, Fred, Velma, and Daphne, in The Mystery Machine. Condition: The artwork lithograph itself is in as new / near mint condition. Professionally framed. The frame is in excellent condition and comes with official Warner Bros COA on the rear. 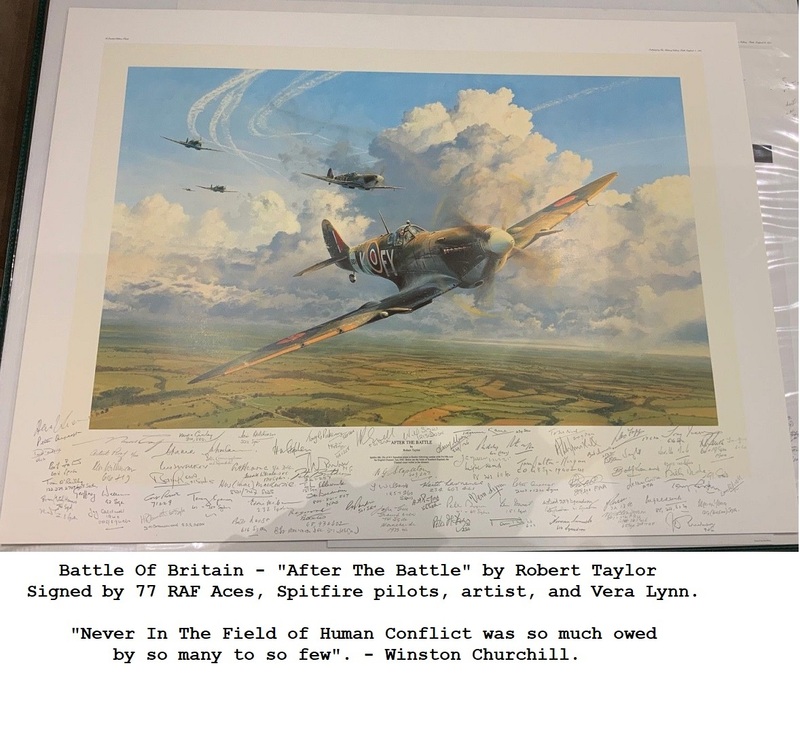 The original plates were destroyed after the limited edition lithographs were made. Each individually were signed. So no more will ever be available ! Comes with official Warner Bros COA on rear. Supplied with our own COA (Devon Autographs) with 'Lifetime Authenticity Guarantee'. Due to large size, extra shipping charges may apply. Please enquire.